Coffee talk: can you learn to belly dance with Zumba? Oh the Zumba craze! we could talk about it forever. Those who are addicted to Zumba will never of course call it a craze but it is a craze! It's a good craze though, it's fun, entertaining, you sweat a little ... It's better than sitting on the coutch but make no mistakes it won't make you skinny or ripped unless all the requirement of a healthy lifestyle are met mainly a good diet. Since it's a dance workout, many think they will actually learn salsa, merengue, bachata, flamenco ... and BELLYDANCE! 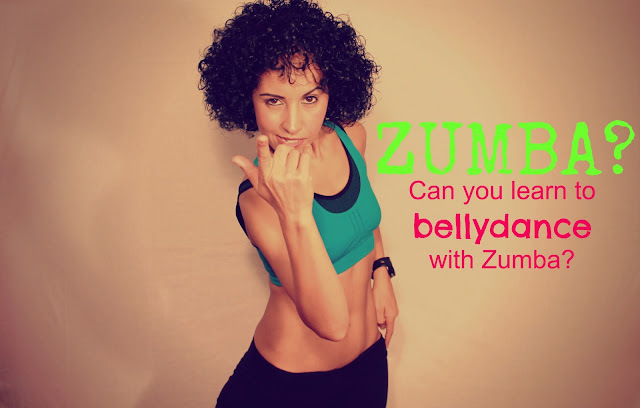 Can you actually learn all these dances and bellydance while doing Zumba?